Blog: What are we thinking? One of the main goals of The Adventurists (the creators of the Mongol Rally) is to raise vast bundles of cash for some awesome charities. So far the Mongol Rally alone has raised over £1.5 million pounds for charity. As a team on the Mongol Rally we must raise £1000 for charity at least £500 of which goes to the official Rally charity. The current official Charity is the Christina Noble Children's Foundation who do awesome work looking after orphans and street children in the capital Ulaanbaatar. Our chosen charity is Susan G. Komen for Breast Cancer Research. 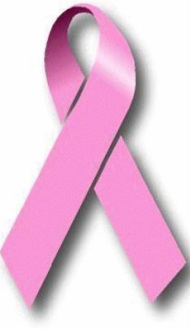 Both of our mothers are Breast Cancer Survivors. We feel that any fund-raising we do should include funding Breast Cancer Research. Please donate online through JustGiving or FirstGiving (links are below). These are secure websites that will make sure that your donations go to the correct charities and that the Adventurists know that your donations are for our rally. We are also accepting offline donations. If you would like to give offline please contact us. Thank you so much for your generosity and consideration! We really appreciate every dollar or pound sterling that you can give!